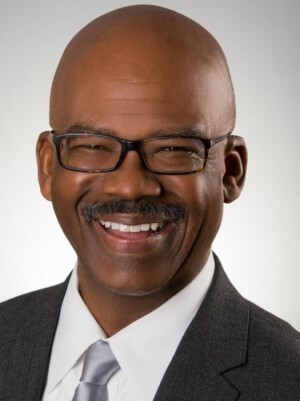 The Board of Directors of the Executive Service Corps (ESC) of the Greater Triangle is pleased to announce and welcome Michael Williams as Executive Director. Michael Williams is a proven leader in inspiring teams and building capacity, with a 25 year track record in both the pharmaceutical and management consulting industries. With P&L responsibilities at GSK, Michael led a $300 million division to achieve new heights through strategic focus. As Managing Partner at Facio Consulting Group, Michael provided specialized solutions for small-midsized organizations including executive coaching, strategic planning, leadership development and sales training. He earned a BS in Marketing from Xavier in Cincinnati, Ohio and a certification in Transformational Leadership from the Wharton School of Business. In addition, Michael has served on the Board of Directors for Meals on Wheels, the Board of Directors for Easter Seals and the Co-Chair for the UNC Center of Excellence in Community Mental Health Board, while volunteering as a mentor for the Council of Entrepreneurial Development (CED) and as an executive coach and consultant for ESC of the Triangle. With over 30 years experience serving Triangle area nonprofits, ESC exists to help nonprofits better achieve their missions, thus improving the quality of life in our community. We match qualified, experienced professionals with qualified nonprofits, and their specific needs. Typical services offered include: Board Development; Retreat Facilitation; Guided Organizational Assessment; Strategic Planning; Executive Coaching; Communications/Marketing; Financial Assessment; and Mergers. Our professional volunteer consultants come from a variety of senior management backgrounds in the for-profit and nonprofit sectors, government and academia. Nonprofit agencies are charged a nominal fee for services based on their operating budget and contracted scope of work. Because of our deep leadership experience and low overhead, our services are much more effective and affordable than standard consulting. We are part of a national affiliate network of 14 member organizations.